Chris says that there is still lots of time to enter The Hackaday Prize. Don’t Panic. Dave recently did a judge interview. Need to connect your project? Chris got his Electric Imp working in about 10 minutes using their getting started guide. Dave recently had to declare email bankruptcy. Chris was listening to a podcast about someone who had to do the same with nearly 10,000 unread emails. Sometimes we get used to the reminders we set for ourselves. Chris either needs a speaker in his house that announces meetings or a shock collar that punishes for not getting something done. Dave recently made a video debunking the solar roadways we discussed a few weeks back. Elon Musk (via SolarCity) recently bought a solar manufacturing company. They will be opening a new plant in Western New York near Chris’s hometown. They will also use the abundant power from Niagara Falls to help power the plant. Chris took pictures with a Nikola Tesla statue up there when he was younger. Germany now gets 50% of its power from renewable sources. Martin Lorton is installing solar panels on his house in Cleveland. Even with cloudy cities like Cleveland (and some in Germany), they can still output significant power. Dave says there are now 1 million homes with solar in Australia. Chris reveals that he used to design instrumentation at ABB. 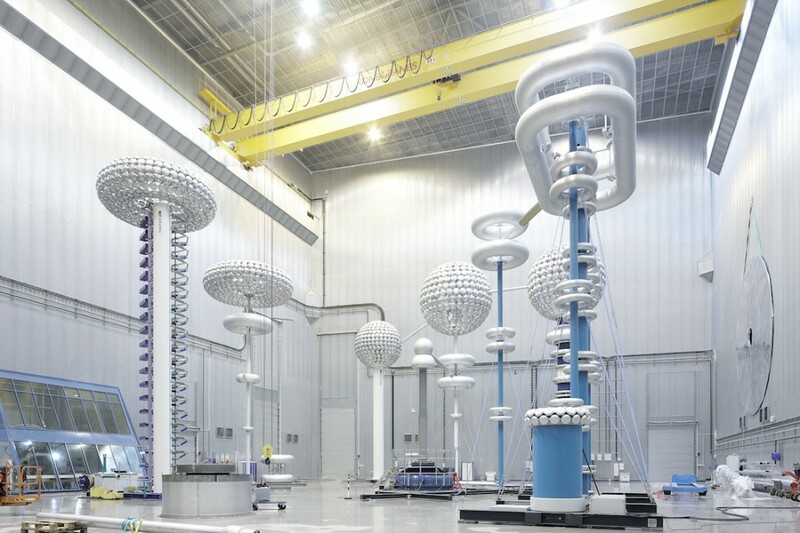 The exciting stuff coming from ABB in the past few years have been around HVDC, specifically with an eye towards long distance transmission of massive amounts of power (think gigawatts). Another exciting piece is the DC Breaker that can switch the large amounts of power in less than 20 ms. They also look amazing, the standoffs required for 800kV is significant. The Diagrammer by Mergenthaler was a badass piece of industrial equipment for making schematics. Think there are any still around? Rhode & Schwarz stopped branding products in the Hameg product line as Hameg (with the associated logo). Our buddy Mike Ossmann has been working on the NSA playset, a replication of the hardware shown in the catalog of gadgets to order. He will be showing it off DefCon. Chris will also be traveling to Detroit in two weekends to hang out with the Hackaday guys and film the Red Bull Create competition. Dave has been duking it out in the harsh Aussie winter by competing in the Tough Bloke competition. 50%, yeah. Peak value at one point of time. NOT average. “We” are actually building new coal-fired power-plants and due to the fucked up way the market works here, “we” are exporting electricity as well. All paid for by massive subsidies. How much do you guys pay per kWh? I pay 26¢ (€). Fear and Loathing in Las Vegas by Chris Gammell! Read about ze Germans and its hilarious, the more ‘green’ energy they produce, the more expensive it gets. To the point of them having to shut down modern natural gas plants. This is not going to end well, ‘renewable’ doesnt work without base load plants, and subsidies basically kill them. In Engineering, one short-hand method we are taught is to take a problem to its limit. The answer at the limit will tell you something about the trend. By that method ‘renewable’ is the only thing that will work in the end. by that method non-green energy (coal, oil) is the only thing that will not work in the end. What we should question is how to get from A to B.
I don’t know a lot about these short term political and economic problems (subsidies, taxes and such). One thing I believe is that people tend to be biased and we humans are not good at noticing our own bias. I believe that politicians are not often good at engineering. I will add as well the modern plants rely on optical powering of the high voltage switch assemblies, with almost all of them having a large fibre optic cable to provide the control via a laser to trigger the thousands of SCR units in the assembly. You basically have 2 choices in the power device, lower power uses IGBT devices, but high power almost universally uses SCR switches, with a single bank having thousands of smaller devices in a series parallel connection, and a large number of passive components like inductors, capacitors and varistors as well, They are used to filter and to allow the active devices to be switched off and to control the voltage and power levels. The simple reason they use DC is that you only need a single wire in most cases, or 2 wires, to have a high power 3 phase link that can often transfer power in both directions as needed. High voltage DC allows more power to be carried, as the insulators are run at the DC voltage, whereas on a standard AC line you have to limit the voltage to 70% of that, as you have a RMS voltage. This extra 30% increase in voltage means a lot more power transfer, and you can also run the current higher as the end stations can do voltage compensation on a cycle by cycle basis without wear. Using one or 2 conductors with a ground return mat also reduces the cost of the line. At high power the savings in line material and insulators will cover the extra cost at the end stations for the inverters and associated control and structures. As this cost is maintenance wise almost zero extra cost it pays for itself at the initial design stage. Line wise you save having less insulators to clean and less lines to maintain. You also have less loss to capacitive loading, and this capacitance actually helps with voltage regulation. Dave’s right. Every idea does not have an equal chance of success. You don’t get an award for participating. You get it when you win. Most of our power is supplied via an HVDC link from the Benmore Dam in the South Island. What solar panels / inverter is Dave using? That “Diagrammer” machine is very interesting. I love these kinds of manually operated “automation” machines. There’s an old exhibit in the Derby Industrial Museum of a machine that can take a pair of 2D mechanical drawings and produces a perspective drawing of the article. Lots of dials, lots of switches and pulleys and awesomeness. Transmission lines are never copper, they are ALSCR, aluminum steel core reinforced. DC transmission lines are pretty much for LONG distances only, no substations tapped off along the line as AC lines. Just one converter station on both ends. Portugal got there first, with 58.3% of the country’s electricity generation in 2013 form Renewable energy. Perhaps a video debunking the outernet might be useful!